Home / HOW TO / Here's What You Should Never Do When Phone Is On Fire? 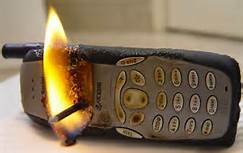 Here's What You Should Never Do When Phone Is On Fire? If there's one thing we have learned from Samsung's battery debacle, it's that you can never be too prepared to handle a phone that's just burst into flames. Samsung's been under intense scrutiny for its recent troubles, but the company isn't alone. Batteries in other phones, hoverboards and laptops have also been known to overheat and burst. Sometimes this happens if the chemicals inside the battery accidentally mix when they're supposed to be separated. The battery feels extremely hot or swells up (the device may look like it has a lump or bulge). That battery (and the device it's in) catches on fire -- admittedly, this one's pretty obvious. These are important warning signs to know. If lithium-ion batteries -- the kind in your devices -- do begin to fail, the harmful chemicals they contain could burn your skin if you touch them directly, or endanger your property if you don't correctly douse their flames. Use tools (like a pair of tongs) or gloved hands to touch the device. Leather gloves and polyester clothing are naturally flame-retardant (but not flame-proof). Even an oven mitt or towel is better than using your bare hands. Immediately turn off the device. Move very slowly and carefully (so you don't jostle the combustive parts together). In case of fire, reach for the baking soda. Keep the device in an isolated area, away from anything flammable (e.g. on the concrete floor in your garage). Immediately contact the carrier or retail store where you bought it for further directions. If the swelling continues to worsen, take precautions to further isolate the device away from people and flammable items (e.g. into a clear area on your patio if you have one, or in an empty metal tool box). If the device catches fire, call emergency services ASAP. Douse flames with a fire extinguisher, baking soda or sand (you know, if you're lucky enough to have your own sandbox out back). Curious what they'd use in a lab? A Class D fire extinguisher, which is specifically made for smothering this type of chemical fire. Class Ds are much more expensive, however, than a typical kitchen extinguisher. Touch a swelling or ruptured device with your bare hands. Rely on water to douse the flames; better stick to baking soda (Depending on the specific components, water could help, or, especially in a closed space, it could cause the fire to grow out of control). Throw the device in the trash; you need to dispose of it responsibly. Breath in fumes, especially if you notice gas or flames (cover your mouth and nose). Ushh, why is my battery hissing or swelling? 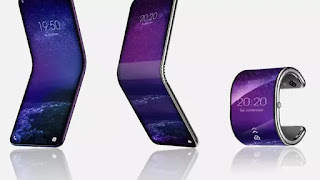 If a battery starts hissing or swelling, your device is already toast, said Bryan McCloskey, a chemical and biochemical engineering professor at UC Berkeley. The various chemicals held at bay inside the battery structure are now running amok. Chemists like McCloskey call this "gassing." Generally speaking, batteries contain chemicals that need to remain separated to make the battery work safely. In compromised batteries, the chemicals can "slosh around" and cause the battery to short. And if the gases inside ignite, that can lead to an explosion or fire. How big depends on the size of the battery and the makeup of its internal chemicals. One problem is that different lithium-ion batteries can contain different chemical mixtures and use different methods to keep the volatile ones from touching. So it isn't easy to know exactly which toxins you're dealing with. Many include fluorine-containing organic compounds, McCloskey said. If volatile hydrocarbons mix with oxygen inside the battery, it can act in ways similar (but not identical to) propane -- the stuff you use to fuel your BBQ. Most retailers and manufactures won't share their guidelines on how to safely transport a device with a suspect battery, so we can't be sure what they'll recommend. However, if it's hissing, it's probably better to seal the device in a sturdy container rather than a plastic freezer bag, and you'll want to avoid shipping it anywhere -- it's hazardous waste at that point, McCloskey said.